If I order veggie pizza…I add pineapple. If I order meat pizza…I add pineapple. I love pineapple on just about any pizza! Why not turn those flavors into a fast, inexpensive weeknight dinner? Cover and simmer on low for 15ish minutes, until liquid is absorbed and noodles are soft. This was awesome! I’m also quite proud and want to brag that I didn’t do any recipe research for this one…it was pure Meals with Margaret creativity and know how! Yay! I could eat pizza every day, but it was great to enjoy those same flavors with lots of veggies and a carb conscious pasta. 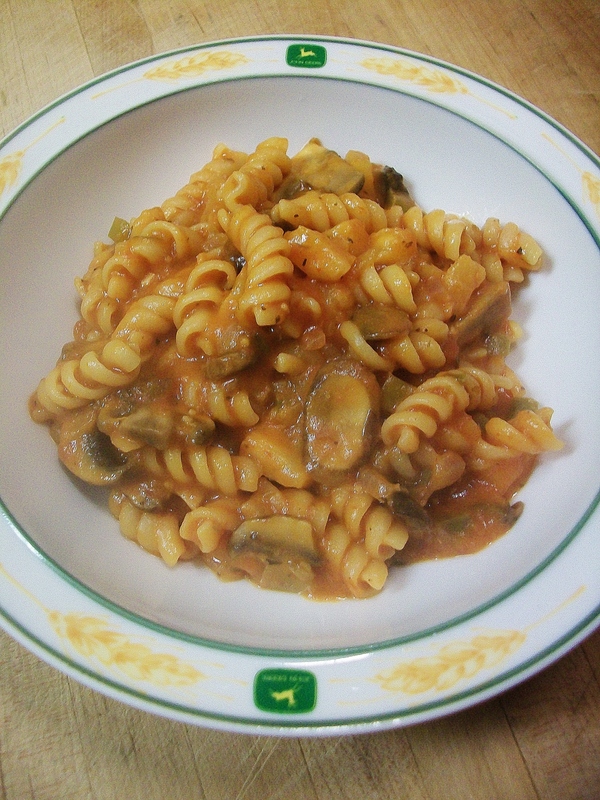 Posted in PastaTagged budget, Easy, fast, hawaiian, healthy, meatless, Monday, one pot, pasta, recipe, vegetable, vegetarianBookmark the permalink.